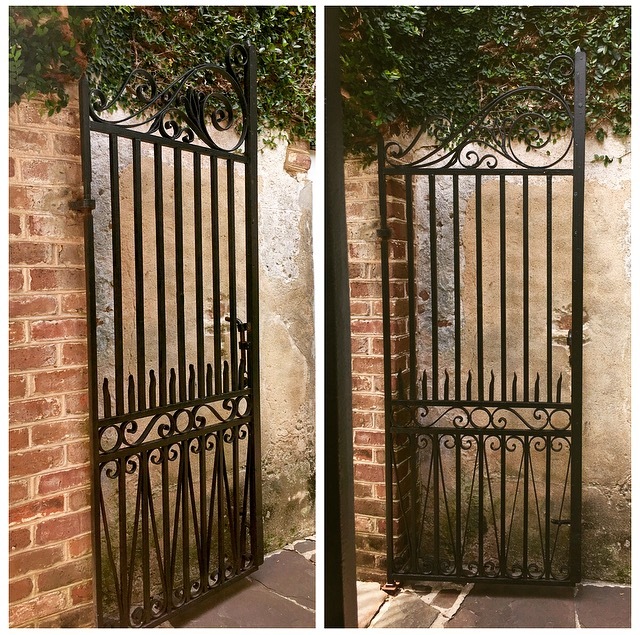 We recently introduced you to Philip Simmons, the wrought-iron artist who furthered Charleston’s ornamental gate tradition with his signature masterpieces seen throughout the city. 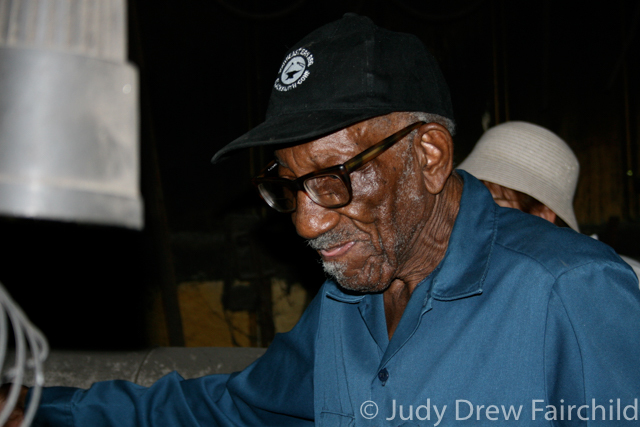 If you recall, the craftsman passed away in 2009, but his workshop remains open on Blake Street downtown, where family members continue to keep his name and skills alive by crafting more memorable works. It’s also now a museum and book shop, so folks can still learn about Simmons and his contributions to the city. That’s why we’ve included the Philip Simmons House as the first stopping point in this guide, although the rest of this list will concentrate below Calhoun Street (don’t worry- we’ll explore more of his works, including some north of Calhoun Street in a later post). Of these stopping points, some are quite grand, while others are easy to pass by if you don’t know what you’re looking for. There are no plaques nearby for these works and there’s not much fanfare. 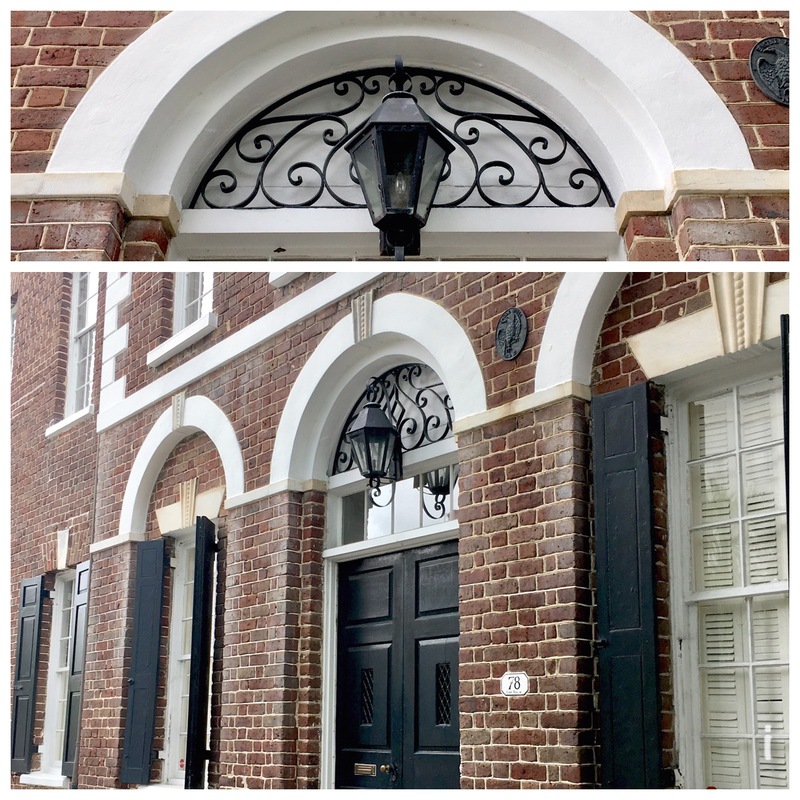 Some have become part of folks’ everyday lives, whether they know it or not – especially South of Broad, where you find ironworks on many if not most houses. His works blend into the scenery beautifully, but if you know where to look, Mr Simmons’s signature stamp can be seen in every neighborhood on the peninsula. 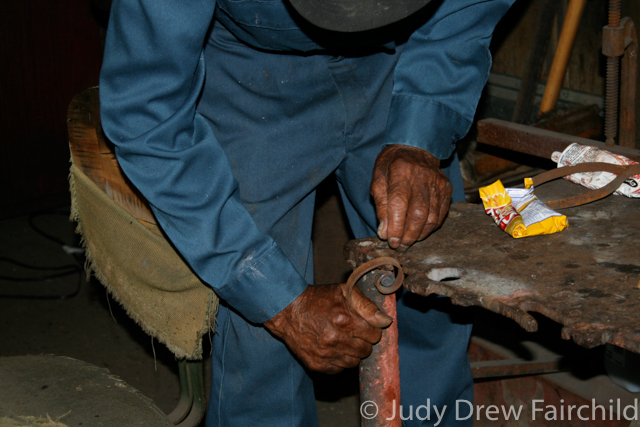 At the Philip Simmons house, apprentices and family members continue their mission to preserve Simmons’s legacy. He created hundreds of hand-wrought iron fences, gates, and more, and he did it all from his little garage at his modest home on Blake Street. Here, you’ll get to have a short, free, informative yet informal tour that will leave you with a better understanding and a deep appreciation of the great importance of a man so beloved by his neighborhood and by all of Charleston. 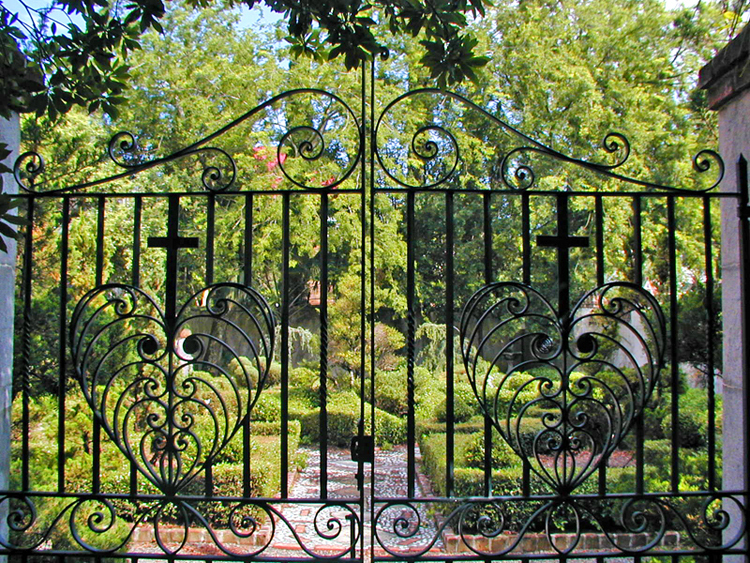 Stroll over to 91 Anson where you’ll find St John’s Reformed Episcopal Church and its decorative gates bearing a wrought-iron heart and cross. There you can also wander beyond the gate and inside the Philip Simmons Garden. The entrance gate was designed by Philip Simmons, and crafted at his shop by Carlton Simmons (nephew) and Joseph Pringle (cousin). The original drawings Simmons made for the gate are kept in the Avery Research Center at the College of Charleston and can be viewed online thanks to the Lowcountry Digital Library. The gate is magnificent, but the gardens behind the gate are equally lovely and worth a stroll. 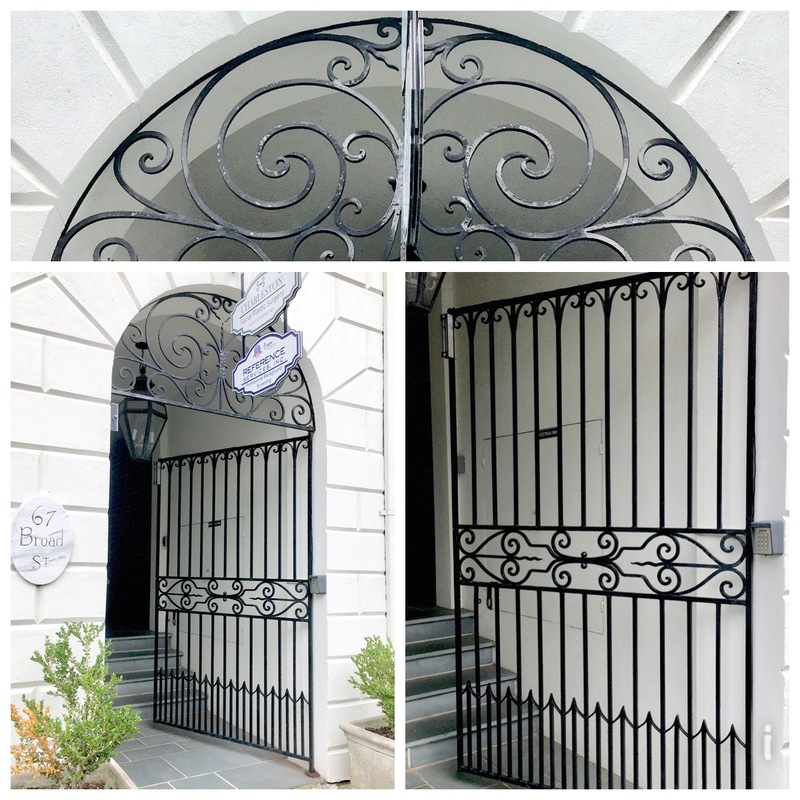 At 313 King Street is Simmons’s first walkway gate, the Krawcheck residence, which we discussed in an earlier post. You may remember that 313 King is actually the storefront address of the Grady Ervin clothing store, and if you ask the kind folks who work there nicely, they will point you to a door in the back of the store that leads to this beautiful, historic work. This is said to be Mr. Simmons’s very first commission in Charleston. 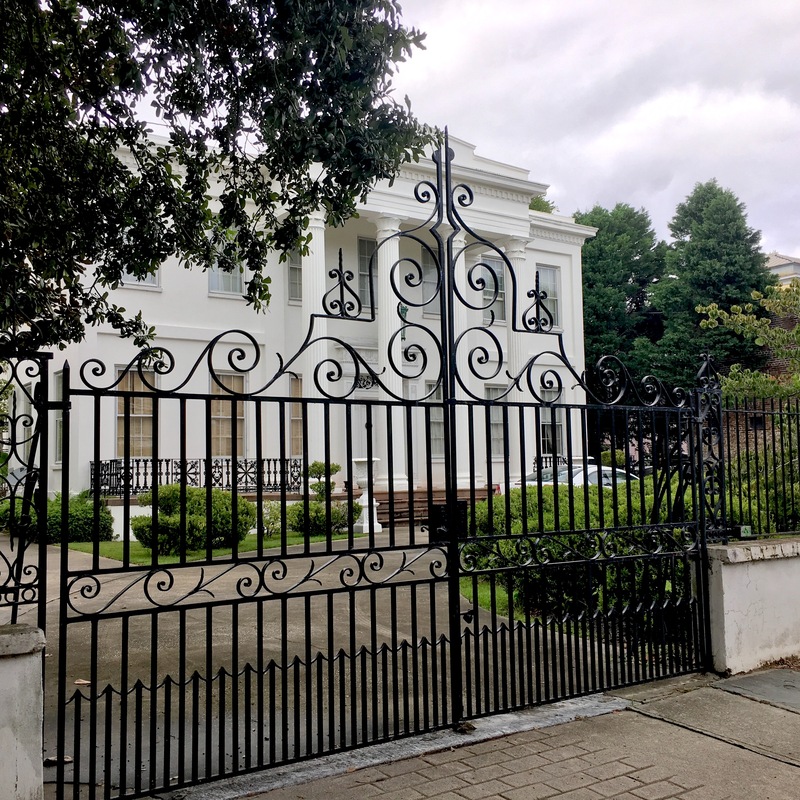 At 138 Wentworth Street, the grand driveway gate of the Edwin L. Kerrison House (circa 1838) towers high above the fence and exudes elegance. The house was restored in the 1970s and that is presumably when Simmons created the gate, which includes examples of his signature perfect spirals. The railings and window grills at 45 Meeting Street are attributed to Simmons. 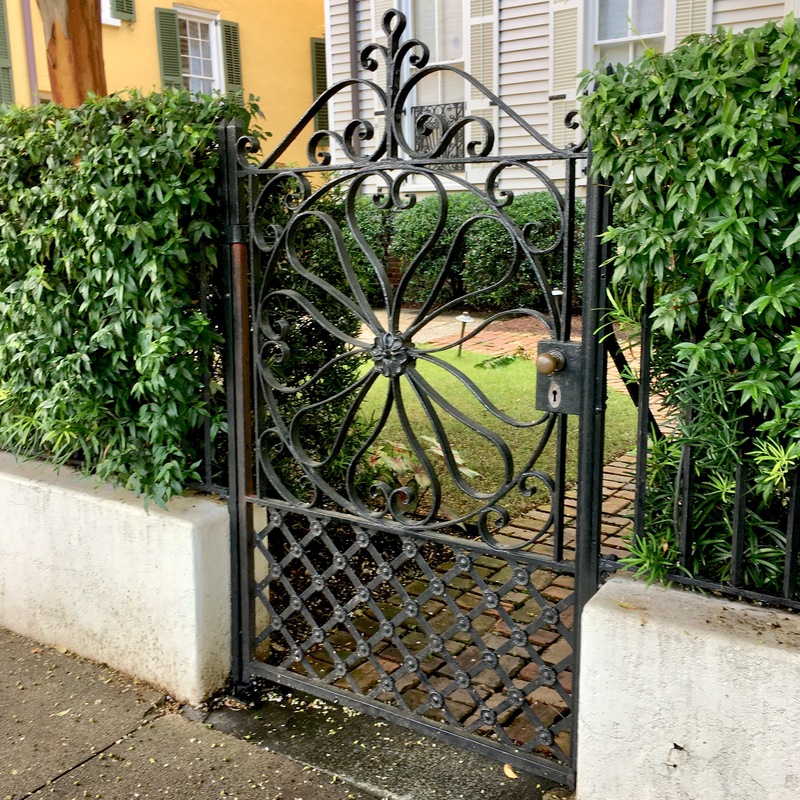 The walkway gate that opens to the front yard also exudes the Simmons aesthetic with a beautiful swirling floral pattern. One of Simmons’s most famous and photographed works is the Egret Gate at 2 St Michael’s Alley. The alley is a quiet, short street just south of St Michael’s Church between East Bay and Meeting Streets. The gate separates the back of the driveway from the backyard and when cars are parked in the drive, it’s hard to see the full gate. This design features an egret in the center standing atop the letter R.
The archway grate and gate at 67 Broad Street is attributed to Simmons. Both incorporate Simmons’s curling style as well as his perfect symmetry. 78 East Bay is an example of one of Simmons’s works you may easily pass without noticing. Many of the porch railings, window grills, and especially the gates are prominently displayed in front of residences. The subtle archway detail above the door blends nicely with the building’s facade, but it’s a signature Simmons piece. Stolls Alley, between East Bay and Church Streets, is so narrow on the East Bay end that many people miss it all together. 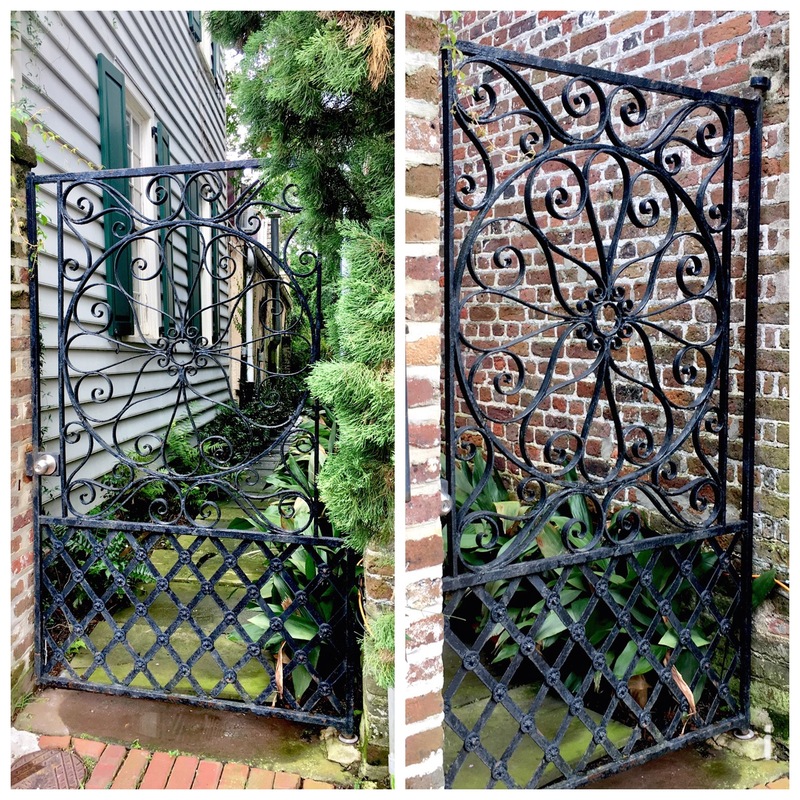 There are five separate gates designed forged by Philip Simmons gates along the alley, so a stroll down this shady, hidden spot is highly recommended.